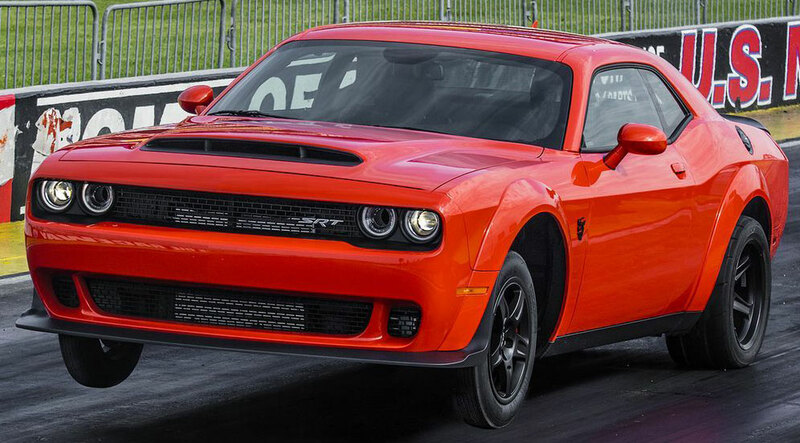 The 2018 Dodge Demon on a dragstrip. Lamborghini unveiled its new SUV this week, joining other “supercar” manufacturers in the race to claim who has the fasted one on the road. Even Jeep has joined the race with a 6.4 liter 700+ horsepower Hemi powerplant that closes in 190 miles-per-hour top speed and a price of over $90,000. Still that cheaper than the Lamborghini URUS, which cost $200,000 and boasts a top speed of 190 mph. Our SUV is a 15-year-old Jeep Liberty with a V-6. It cost about $19,000 in late 2001. Now Maserati has an SUV. Ferrari, we are told, is working on one and other superfast — and super expensive — models from other companies are in the works. Over the years, I’ve been fortunate to own a variety of high performance vehicles, including two Porsches, a 428 cubic inch Shelby Mustang, and a tricked out 390 in a Ford Torino Fastback. A love of sports put two different Triumph TR-6s in the garage at different times and an MG Midget. Now our “performance” car is Amy’s Mini Cooper Convertible, a John Cooper Works edition that Car & Driver magazine says will top 150 miles per hour. Not bad for a 1.6 liter four-cylinder. The turbocharger helps but we will take the magazine’s word for the top speed. We haven’t come close to that neighborhood of speed. Maybe at a future driver’s day at VIR. There was a time when a V-8 and cubic-inches determined top performance. The 428 Shelby Mustang was fast — in a straight line — but the six cylinder Porsches handled better on winding roads and the four-cylinder Mini can leave them behind on twisties. I had a tricked out V8 in my ’57 Ford in high school. Big V8s are still around. Porsche puts turbocharged V8s in its Cayennes. So does Jeep in its Grand Cherokees. And you can still get V8s in the “pony” cars from American manufacturers. Consider the Dodge Challenger SRT Demon: a 6.2 liter Hemi with 840 horsepower and 770 pound-feett of torque. The specs: 0-60 in 2.3 seconds. Cost? Somewhere under $100,000.